I just read a blog that puts every Turf Managers [sic] budget under scrutiny. Lets [sic] hope the financial controllers at each club dont [sic] read it. This post is along the same lines, so financial controllers should probably stop reading right here. Although surprisingly in the note from Tom, he did mention that the savings he has made were "greatly appreciated by the management." I love to hear about those kind of excellent results, and I'm glad Tom was able to achieve them and then share them. As I mentioned in the recent Campus del Césped webinar, the MLSN approach is designed first to ensure the grass is supplied with 100% of what the grass can use. And as an accidental result, one can end up applying less fertilizers if one actually works through the calculations to find out how much the grass really needs. You can find out more about MLSN and GP (temperature-based growth potential) during seminars at the upcoming Golf Industry Show and at The Canadian Golf Course Management Conference. Or check out the MLSN Turf page, or this blog's fertilizer topic. Heck, you might even share this with your financial controller. The recording of my webinar on preventing nutrient deficiencies is now available in the videoteca section of the Campus del Césped website. Or watch the English version right here. This was fun. I hope you'll read the handout too. It is only 4 pages, with lots of white space, and gives a brief overview of this important topic. If you are still interested, then watch the video of the webinar at your leisure, and watch or download the slides too. But I am going to try. I've got four things I want to explain in this upcoming webinar, and I have made some interesting calculations. Can calculations be provocative? Maybe these ones are provocative and interesting. The Campus del Césped webinar is on 12 January at 17:00 Central European Time. You can register here. Here is the 4 page pdf handout, in English. These are the slides in English. These are the slides in Spanish. If you are are joining this webinar, you will find it useful to review the slides and handout prior to the event. This is nothing new. We've been discussing this for a long time. But these charts are new. I am leading a webinar on January 12 and in my preparations for that I made these charts. I wanted to explain why I don't worry about micronutrients. I'm going to explain this in words first, and show the charts at the very end. There are two main reasons why I don't worry about micronutrients. First, the quantity of micronutrients used by the grass, when compared to the amounts of N, K, P, Ca, Mg, and S, is indistinguishable from zero. The grass uses micronutrients in such tiny amounts that it seems the grass can surely get such tiny amounts from the soil. Second, and this is connected to the first reason, the quantity of micronutrients used by the grass is almost nothing. So there is no excuse for having a deficiency of any micronutrient, because even to apply two or three times as much micronutrients as the grass can use will cost essentially nothing. Take those two reasons together, and you can't lose. You will probably never have a micronutrient deficiency, And you can spend almost nothing and be sure to prevent one. Sounds easy to me. Which is why I don't worry about it. Here are three charts to demonstrate what I mean. First, this is the concentration of elements in turfgrass leaves. You'll notice that the concentration of micronutrients in leaves is indistinguishable from 0. That's reassuring. The soil can probably supply almost all that the grass can use. But what if the soil can't supply that much? No problem! The amount the grass uses is so small, it costs almost nothing to supply it. If you have a 50,000 dollar fertilizer budget, and if all the elements cost the same, you would spend less than 60 dollars for each of the micronutrients. So if the amount used by the grass is so low, it seems easy to apply that much, and to afford that much, as fertilizer. Of course not everyone has a 50,000 dollar fertilizer budget. What if your fertilizer budget is 700 dollars? Well, the grass won't distinguish between budgets, but it will still use nutrients in the same proportions. In this case, for a 700 dollar fertilizer budget, each of the micronutrients comes in at less than $1. I hope this makes it clear why I don't worry much about micronutrients. You will probably not be deficient. But if you are worried about it, apply them. It will cost almost nothing. Of course, if you are spending a lot of money on micronutrients, or are supplying a lot more than the grass can use, it would be prudent to ask yourself "What am I trying to do?" Bill Kreuser learned these five things about PGRs this year. This is how to lose a lot of money with frost delays. Brad Revill started a new blog with this widely-read post about something new. I wish everyone understood this about the quantity of fertilizer recommended by the MLSN guidelines. Soil tests double MLSN and still getting recommendations to apply more. Do those who soil test also apply more fertilizer? Intriguing article about expectations for greens at the Masters in 1981. Radko et al. from the GSR in 1981: A study of putting green variability. An unlikely tool for the study of putting green speed variability. This eclectic list of references for my 芝草科学とグリーンキーピング book. What do Hong Kong, Singapore, Iceland, and Mauritius have in common? The number of golf holes in 30 countries. David Duke wrote about winter damage to golf turf. I made a map to show all the flights I took this year, with some grass photos too. Elephant footprints on a golf course in Thailand. These 10 posts from 2016 had the most views on the Viridescent blog this year. And this is the opposite! These 10 posts had the fewest views this year. Frank Rossi and Dan Dinelli had an interesting conversation on Turfnet Radio. I learned a few things, and I even agree with some of what they discussed. But not all of it. 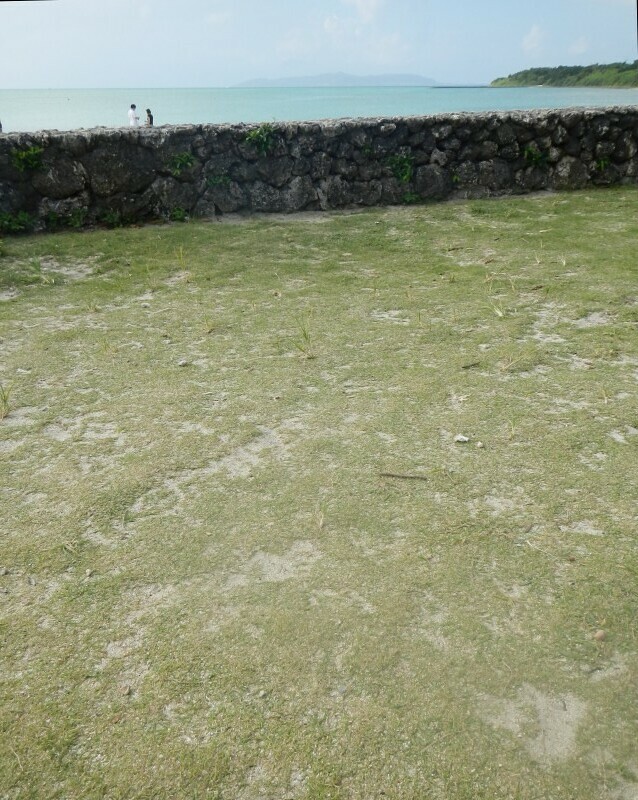 The first thing that came to mind when I heard them talking about sand and growth was lawns beside the ocean. More about that later. If you jump to the 30:40 mark of the podcast, Dinelli says, "I'm convinced that the more sand we put down, the more biomass, the more organic matter we develop. And I know that is counterintuitive." It sure is. Because I'm thinking of a lawn next to a beach, where windblown sand just keeps coming and coming. Or I'm thinking of the 7th hole at Sandpines in Florence, OR. In the situation I'm thinking of, the sand is not a cause for organic matter development. Back to the podcast. When asked about this, Rossi took his turn as the guest and answered that he would say there are two components to it. First, there may be nutrient or PGR programs that need to be addressed. "When you aggressively verticut you thin that stand and then you incorporate sand into it and I believe that leads to even more biomass production and that's the chasing the tail part ... you have to thin it out .. to make room for the sand, but by doing that, aren't you stimulating more growth?" I don't think that's how it works. If it is, sand isn't the cause of it. And I don't think verticutting is either. Growth is affected by temperature, and light, and nitrogen, and water. Those are the primary things that influence it. Put simply, more of them and there will be more growth. Less of them, and there will be less growth. So let's go back to the beach. Or to a lawn beside a sand dune. Let's hold N constant. 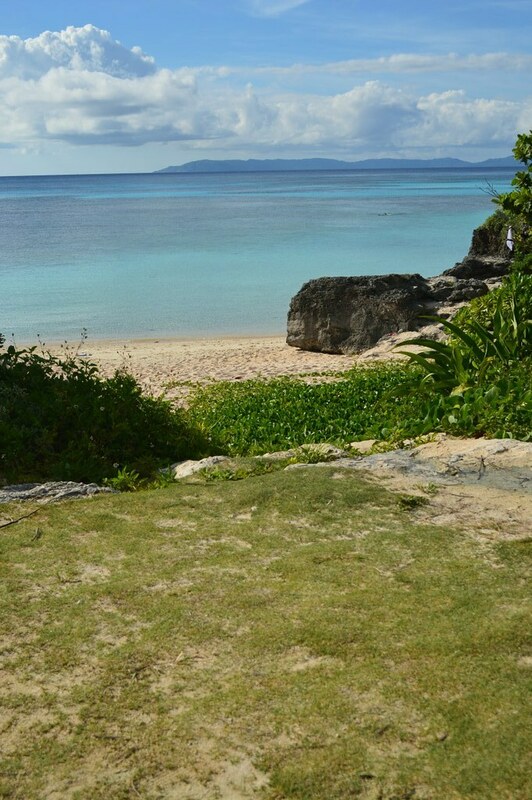 We'll provide whatever you consider a miniscule N rate to our beachside or duneside lawn. We'll need to make sure the grass has enough water. Let's make sure the soil is kept just above the wilting point. The grass won't wilt, but that's all the water that is supplied. And let's set the temperature to be optimum for growth, and we'll make the light optimum too. Now let's divide the lawn into three parts. One part has sand restricted from blowing across it. With that N rate and irrigation rate, do you expect a lot of biomass production? I don't. But I'm pretty sure that part of the lawn protected from topdressing is going to have more biomass production than the second part of the lawn, where I allow sand from the beach (disregard any salt effects here, and just consider sand) or adjacent dune to blow across at topdressing rates throughout the season, depositing let's say 1.2 cm of sand over the course of the season. Remember, we are growing this grass with a miniscule N rate and irrigation just to keep the soil above the wilting point. I think the section of my lawn where I restrict the sand completely is going to develop more organic matter. And then there is the third section of my lawn, where I don't restrict the sand at all. In that case I have a dune at the end of the season and the grass is dead, producing no organic matter at all. If verticutting and sand topdressing are producing too much organic matter, please consider what would happen if you continued to verticut and sand topdress while stopping all fertilizer and all irrigation. The organic matter production would stop, because the grass would die. Here's the kind of situation I'm thinking of. 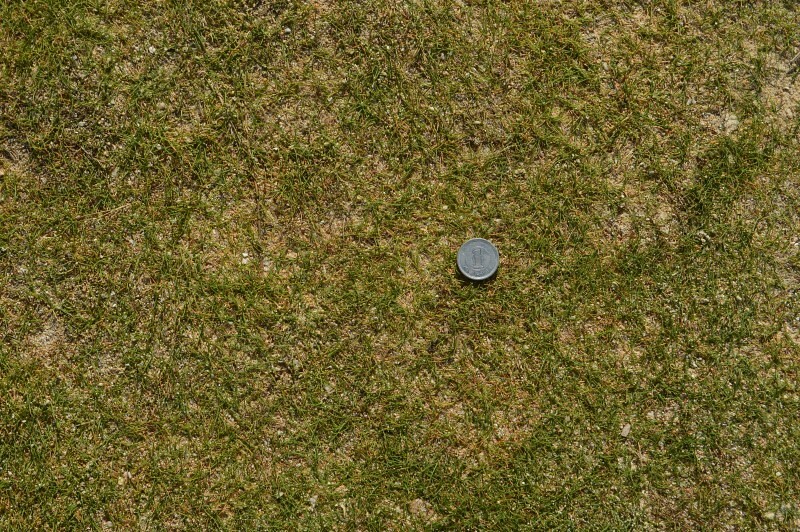 These are all manilagrass (Zoysia matrella). Some people think of this species as having heavy thatch. Plant it beside a beach, give it a very slow growth rate, and then add sand, and you get no thatch at all. You do get something that would probably be a better turf if less sand were added to it. Isn't the growth rate largely a fertilizer (especially N) and a water issue? I don't see how sand and verticutting cause the grass to grow more.